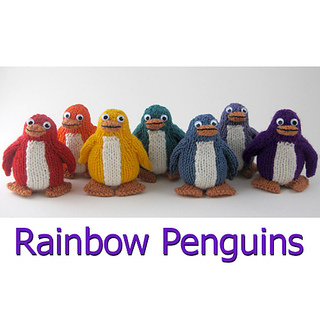 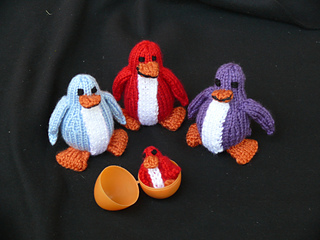 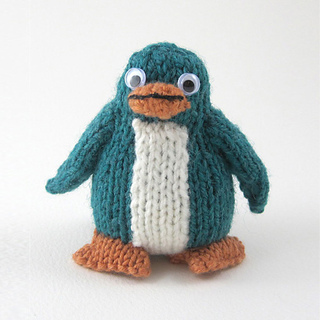 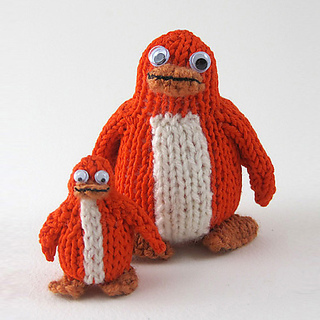 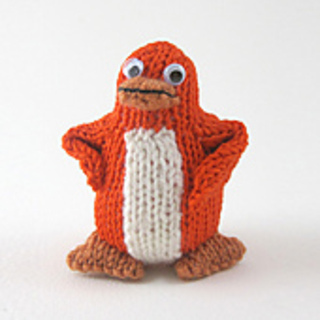 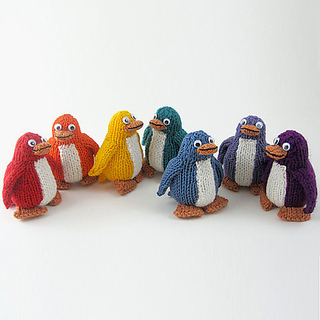 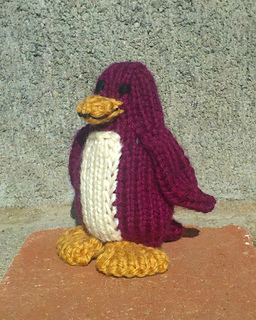 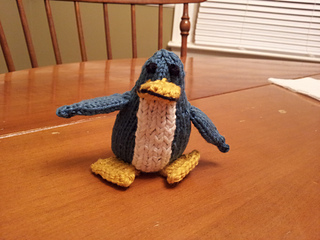 These cute little penguins are knitted in a rainbow of colours. 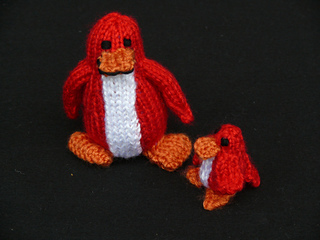 They come in two sizes - the adults are 2 inches tall, and the tiny penguins are just 1 inch tall. 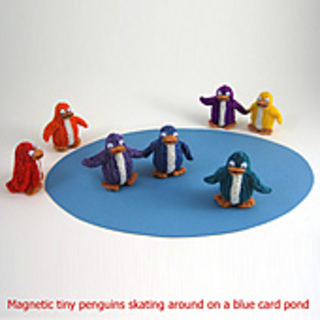 Add a magnet in the base of the tiny penguins to make toys that can skate about on a blue card pond - just like magic! 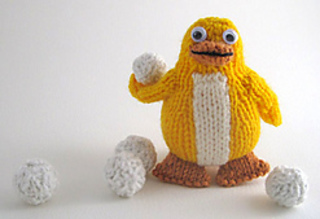 The toys are simple to make with just a little shaping of increasing and decreasing. 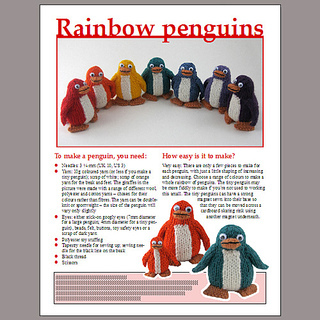 Now I’m going to make some fish.